In the mountainous country, where there are so many stones, a little gem is hiding. It is considered one of the most important attractions and national property of Armenia. 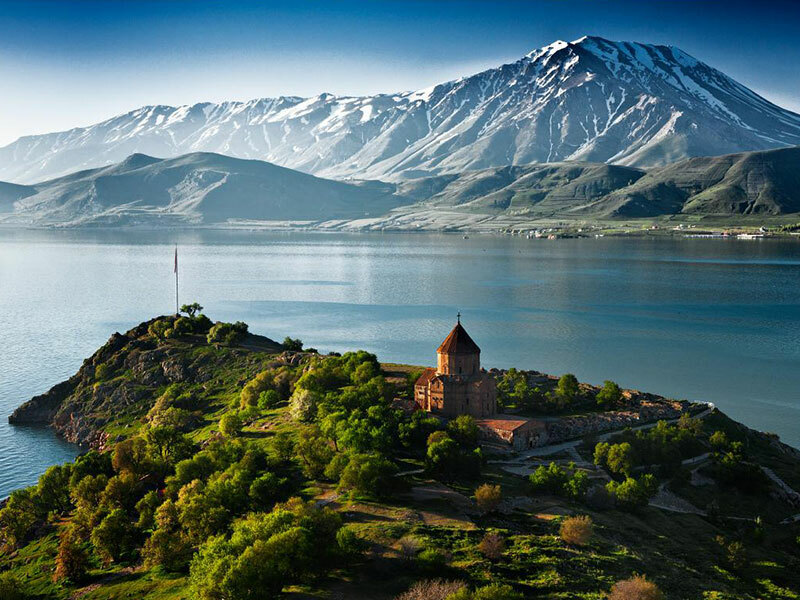 Learn the history of Lake Sevan and national features, find out how to get there and what to see. 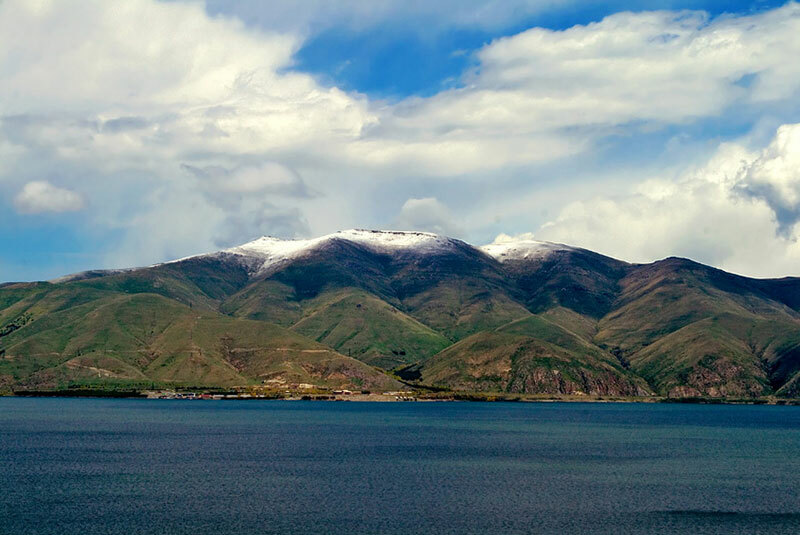 Lake Sevan is the biggest highland freshwater lake in the CIS countries. Lake area is 1416 km2 and is located at an altitude of 1916 m above sea level. Because of its size the lake is also called Geghama sea (the lake is located in the territory of Geghama ridge). The lake was formed after a volcanic eruption, that had become a suburb on the path of the river. The lake began to fill with the waters of melting ice. The beauty of landscape is striking: alpine meadows change into the mountain steppes and forests. 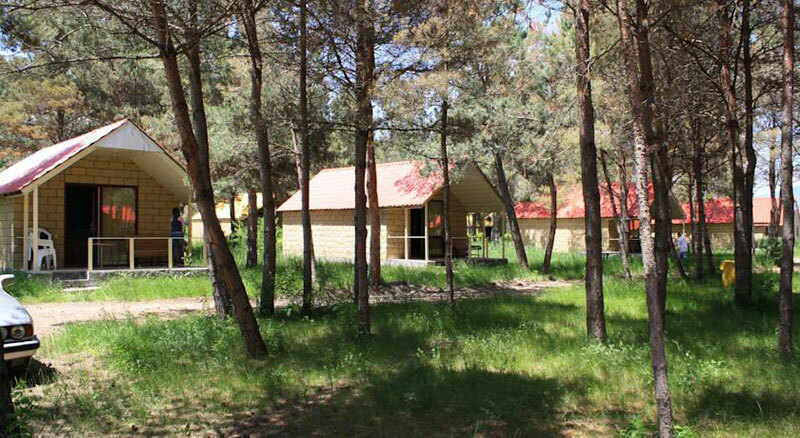 On the territory of the lake there is a national park and nature reserve of “Sevan”, plus there are historical sites and mineral springs on the territory. On the territory of the lake there are held regular archaeological excavations that found inscriptions and the remains of the fortress of ancient Urartu. In them inscriptions found there is mentioned the name “Sweenia” and there is a theory that the name “Sevan” was precisely from this word. According to another version the name Sevan came from the black tuff (Sev Vank – Black Monastery). The most important value of the lake is trout or the so called “ishkhan”. Delicate pink meat has an unforgettable taste (especially ishkhan barbecue). Unfortunately, due to the lowering of the lake level the number of trout has decreased and now the fish are bred artificially. Whitefish is another fish of Lake Sevan, that is also very tasty. These fish can also be found in the markets and supermarkets of Yerevan. The alpine lake has harsh climate. Winters are cold with strong winds and even on the hottest summer day cool wind always blows. It is pleasant to take a refreshing dip in the lake after the sweltering heat of Yerevan. The most suitable month for a swim is the second half of July up to the end of August. The water temperature is 21, which is quite acceptable for swimming. 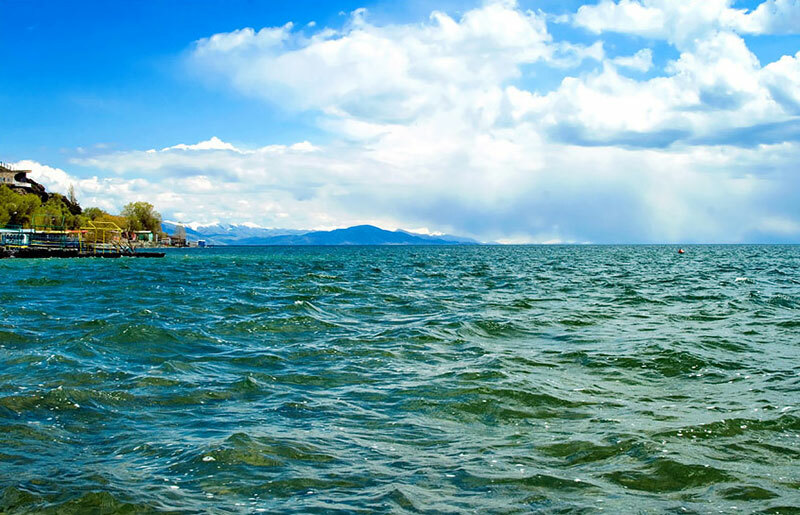 Lake Sevan is very beautiful and it attracts thousands of tourists. It is worth to take a walk around the lake. If you like hiking, we offer you to climb up the volcano Azhdahak (the highest point of the ridge). From this point you will see the lake, the mountain Aragats and snow-capped peaks of Mount Ararat. 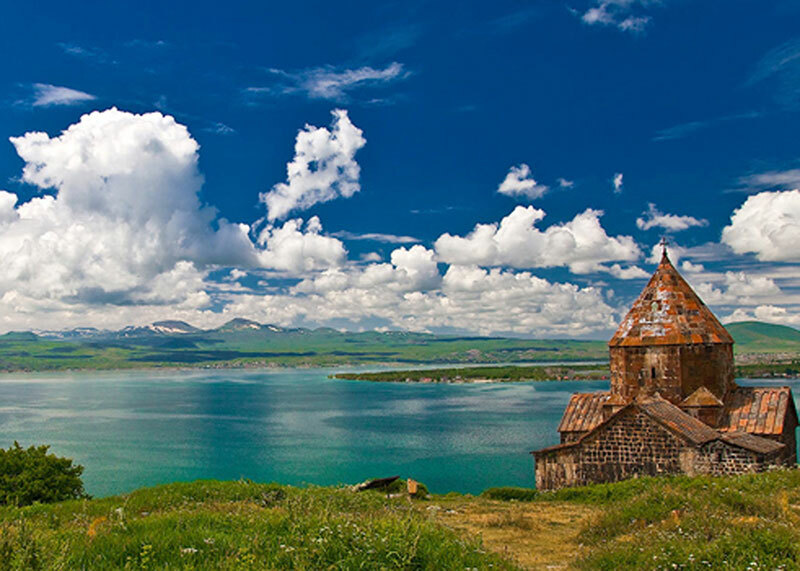 In the north-western shore of Lake Sevan there is a monastery. The monastery is located on the peninsula (formerly it was an island that was connected to the mainland due to the lowering of the water level). In the Middle Ages, the monastery played an important role in the country, but over time the monks left it and now Sevanavank is a part of history and is a historical value. In the west, there is another monastery Hayravank dating back to the 8th century. It stands on a hill, from where one can see the whole lake and the surrounding mountains. To the north-west of the monastery there is a fortress of the Bronze Age. It is also worth to visit the village Nordouz with the largest cemetery of ancient khachkars. In the “graveyard” there are about 900 sculptures of different eras. Across the shore of Lake Sevan there are located hotels and cottages, that offer a comfortable stay with a beautiful view of the lake. All the major hotels can be found on booking.com. This is one of the most popular hotels among both locals and tourists. From the window of hotel room, you can enjoy a great view of the lake. 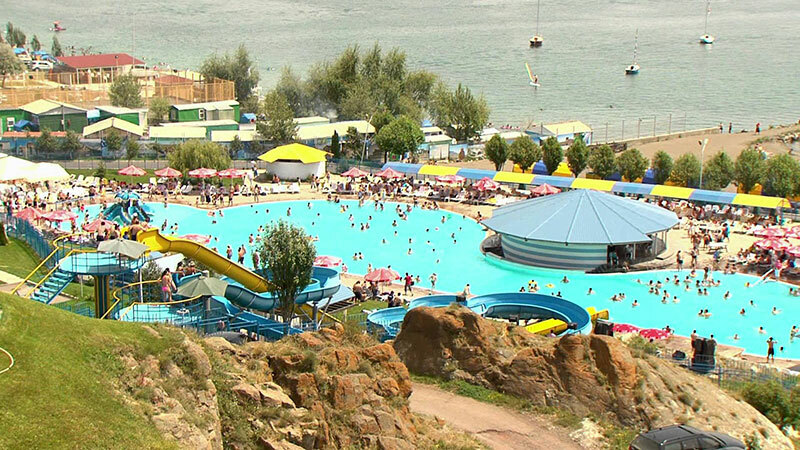 The hotel has a private beach with sun beds, a small water park and swimming pools. The beautiful and modern hotel has all the amenities for an unforgettable stay. 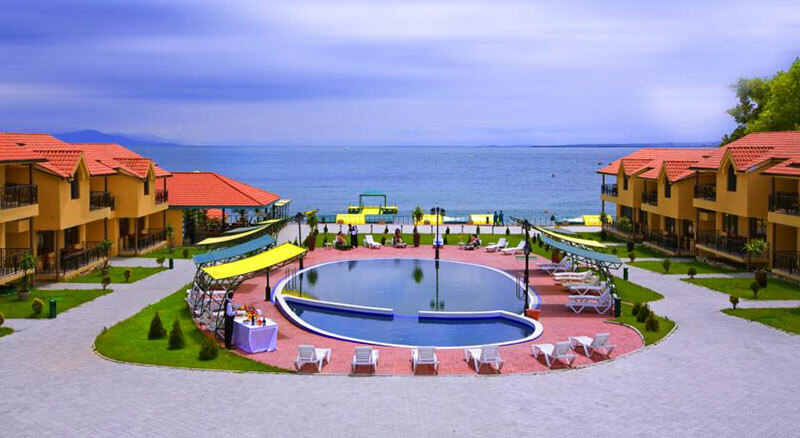 The hotel has its own private beach with sun beds and mattresses, swimming pools, table tennis and tennis court. Comfortable cottages are perfect for rest with your family. The complex of cottages attracts with reasonable prices and comfort. The complex is located 3 km from Sevanavank Monastery. The territory has a kitchen with refrigerator and stove, where you can prepare your own meals. 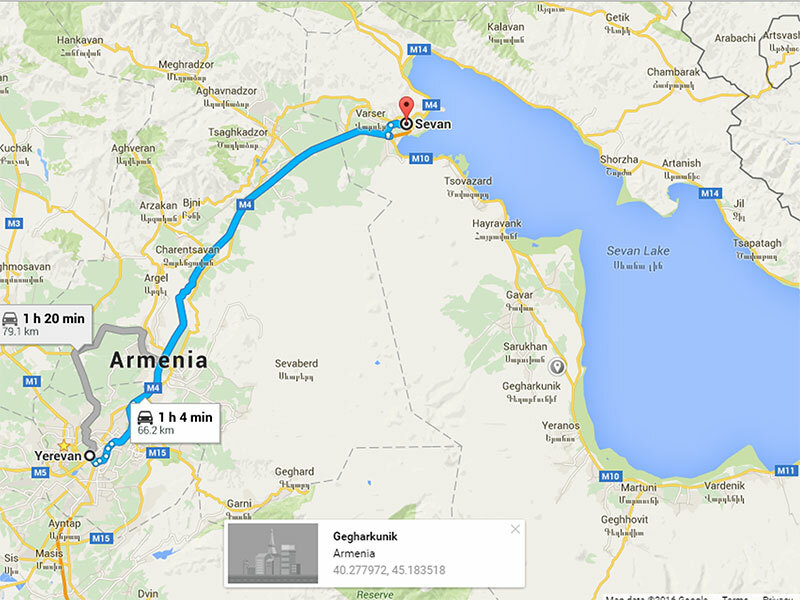 Sevan is located to the north of Yerevan, at a distance of 70 km. From North Station you can take a buse to Sevan city. When you get to Sevan, you need to take a taxi to get to the lake. One way road will cost about 4$. For a more comfortable trip, you can order a taxi or rent a car in Yerevan. If you do not know how to drive, but would like to comfortably reach the lake, you can order a car with a driver.